The GLARE HELIOSTM is the only Class 1M ocular interruption device FDA approved for use by local, state, and federal law enforcement in the United States. Our SmartRangeTM technology and proven Hail and Warning capability have been integrated into the GLARE HELIOSTM to affect an immediate, directional, and eye safe visual deterrent from 4m to 25km. The eye safe green beam sends a clear and undeniable visual signal that is effective at extreme ranges and in adverse conditions. 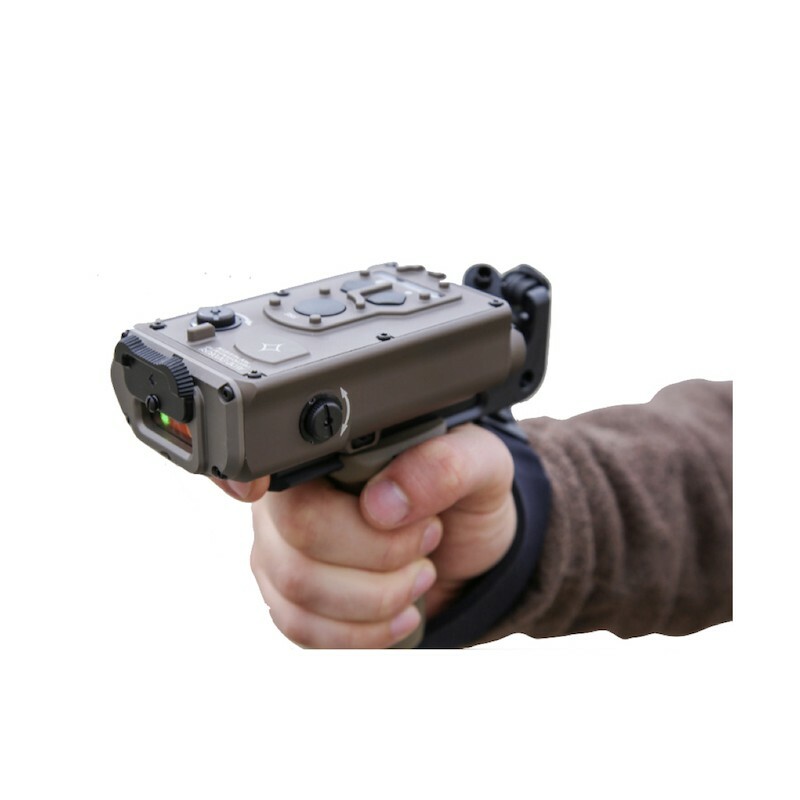 The GLARE HELIOSTM can be used in multipleconfigurations including handheld, picatinny rail mounted, and system integrated for remote station operation. 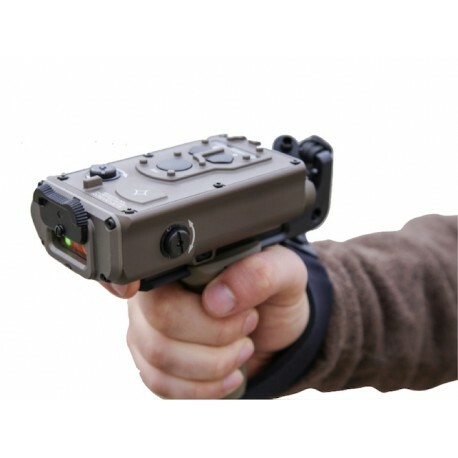 The device has the optional featureof mounting a red dot optic for daytime aiming.